Summer is in full swing and along with summer, comes potlucks, picnics and BBQ's. And if you're not doing one of those, you have to make your own dinner. 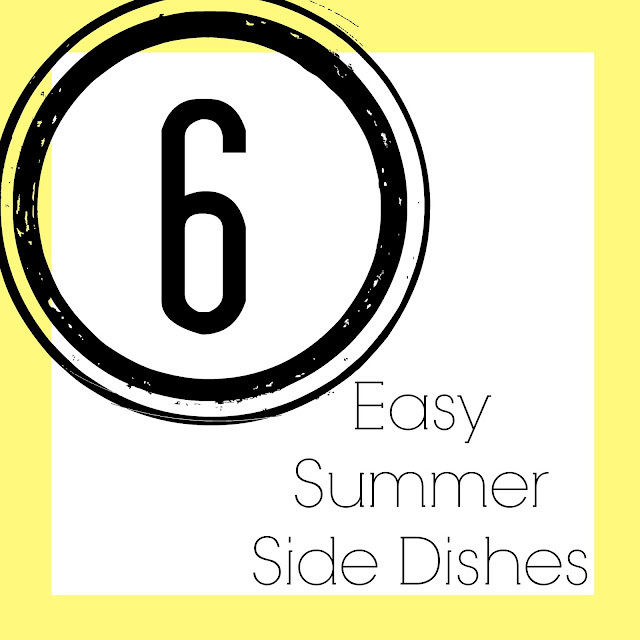 So, I thought it would be good to share a few of my favorite side dishes to have with my dinners or to take to potluck style parties. First off, what I look for in a good side dish is that it's easy and quick to make, and if it's something that makes a lot or that is easily doubled to make more. And do people like that kind of food? So my first go to side to bring is fresh fruit. 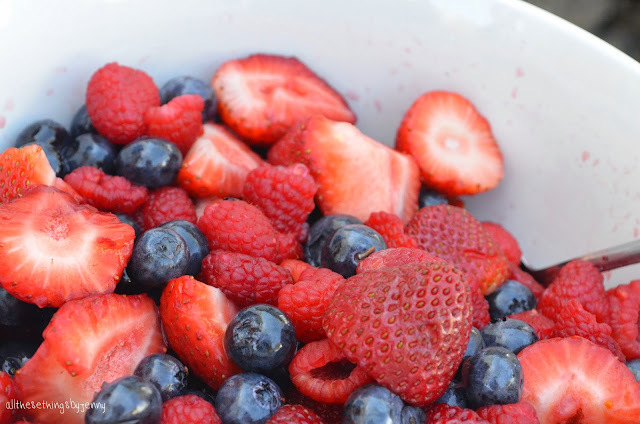 Lately I've been loving berries. I get a few different kinds of berries and wash them, cut them and mix them up in a big bowl. Then I sprinkle sugar over them and mix it up again. The sugar helps make the fruit really juicy. This also makes a really great desert by taking whipped cream or ice cream along with it. For the fourth, we had a bbq and I took fresh peaches and strawberries and some whipped cream. I had them layer the fruit and cream in cups, it was amazing. So yummy and really healthy. Potato Salad is another great side dish. Almost everyone has a recipe for it. I don't have a particular recipe that I follow, but I put around 2-3 of boiled potatoes in (for my family of 4), a little bit of chopped onion, 2 hard boiled eggs, a little bit of celery to add some good crunch. For the sauce I mix about a cup to a 1 1/2 cups of mayo, about a tsp of mustard and a little splash of vinegar. Then I add salt and pepper to it. 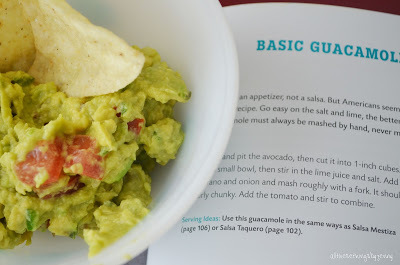 If your party is a Mexican style meal, this guacamole is great for an appetizer or a side. And I've said before that this is the guacamole recipe that made me like guacamole. I hate ever other kind I've ever tried. Cube the avocado, stir with the lime and salt. Add finely diced pepper and onion and mash everything with a fork. You want to leave some clumps though. Add the tomato and gently mix it in. That's it. Since it's summer, vegetables are starting to grow. And fresh veggies are the best veggies. Take a veggie tray and some ranch dip. My favorite are fresh tomatoes sliced up with dressing, salt and pepper on them. 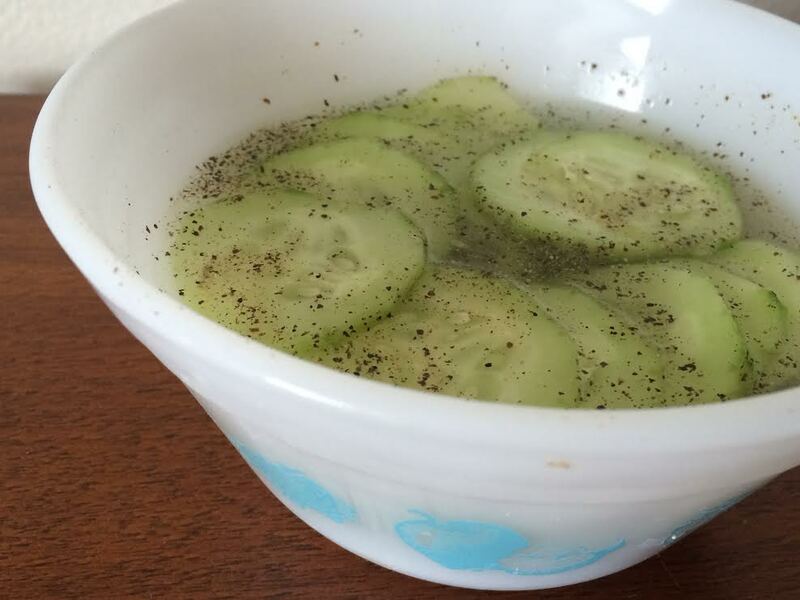 We also do a lot of cucumbers in equal parts water and vinegar and salt and pepper. 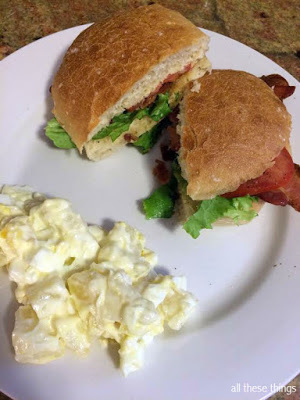 If you're making a more hearty kind of meal, make some home made bread to go with it. Especially if there is some kind of soup or gravy to dip it in. 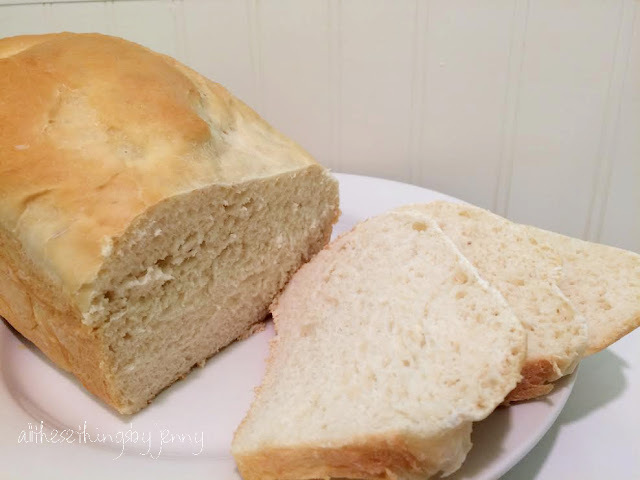 Fresh, home made bread was always one of my favorite things to have at dinner time while I was growing up. You can find lots of really great bread recipes on pinterest. Or you can find mine HERE. 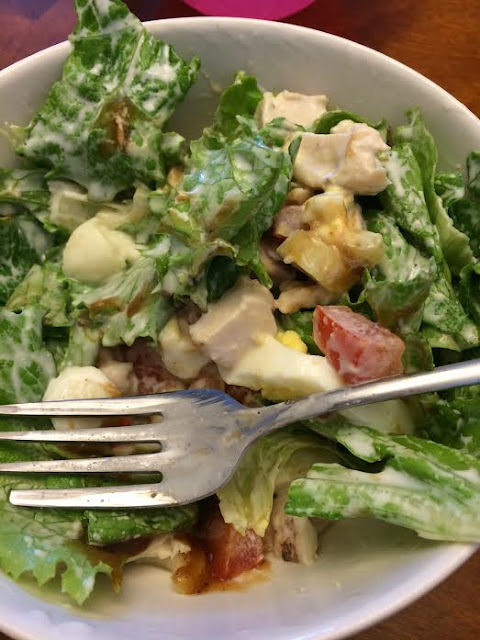 This salad makes a good side or a really healthy, good lunch. I add lettuce, a little tomato, a little celery, pre-cooked chicken (from Costco), 1 hard boiled egg and some mozzarella cheese. For the dressing I mix about 3 TBS of my home made ranch dressing with about 1TBS (or less, depending how you like it) BBQ sauce. It's delicious and healthy.